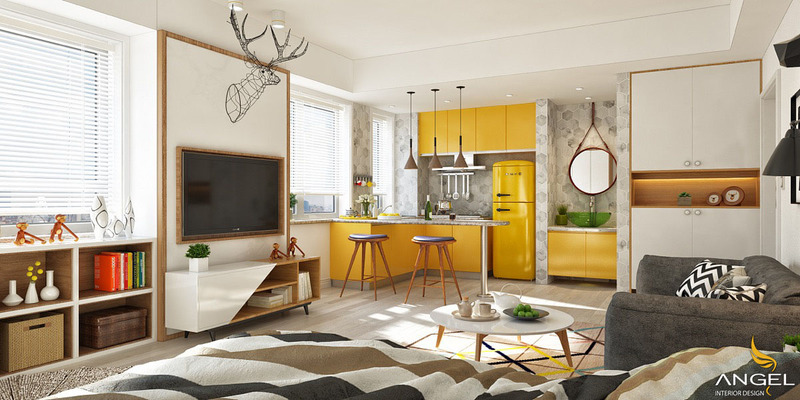 The interior design of this apartment is very special thanks to the yellow design front. Tighten us with a light trail of solid yellow kitchen cabinets and a fridge co-ordinated. 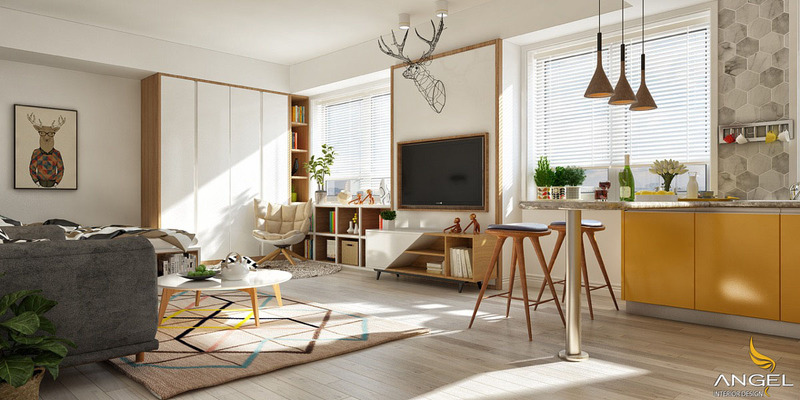 A large spine framed deer head overlooking the open spaces popular style today. 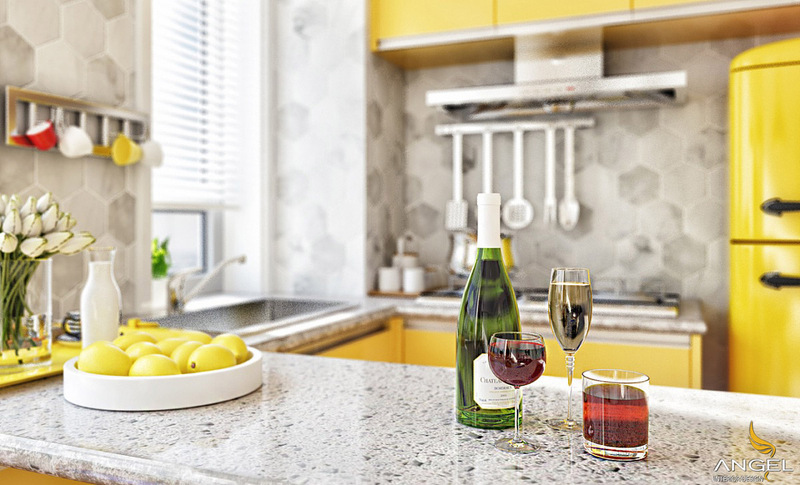 On color, the rest of the house is much more subtle, letting the kitchen do all the talking. 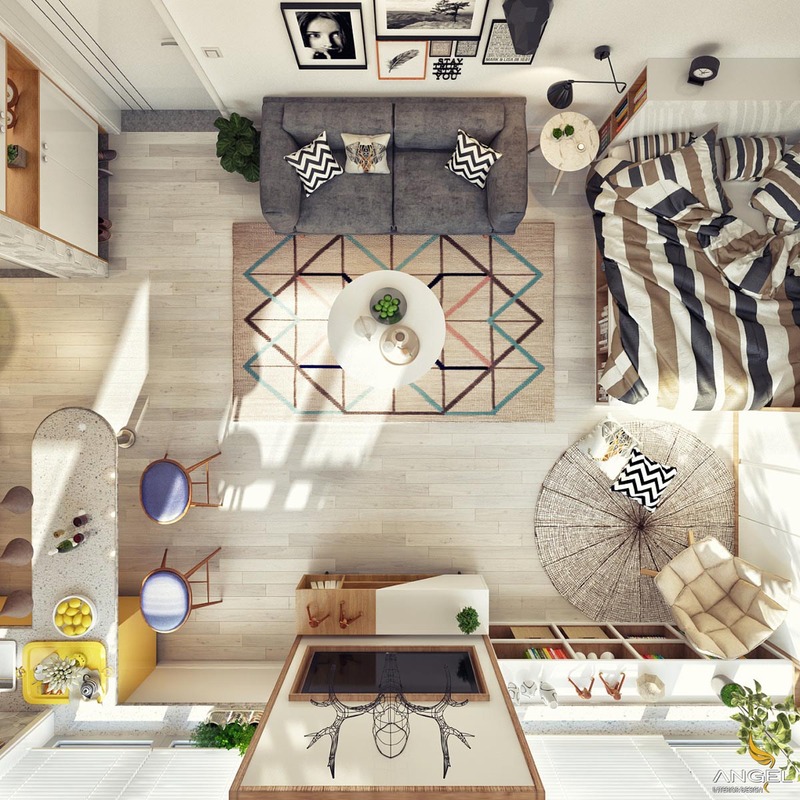 A colorful area carpet provides a small yellow drop below the coffee table. 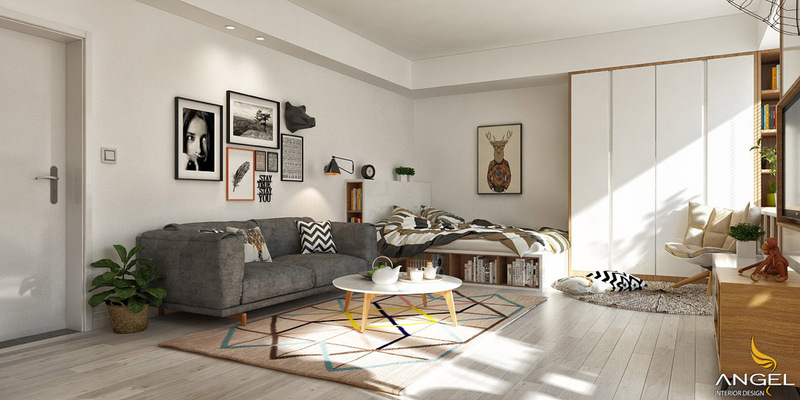 The dummy bear next to the hanging paintings creates an impressive spot for the living room. The comfortable chair, which is the seat of the Husk by Patricia Urquiola, is wrapped in layers of natural leather that gives the user a relaxing experience. 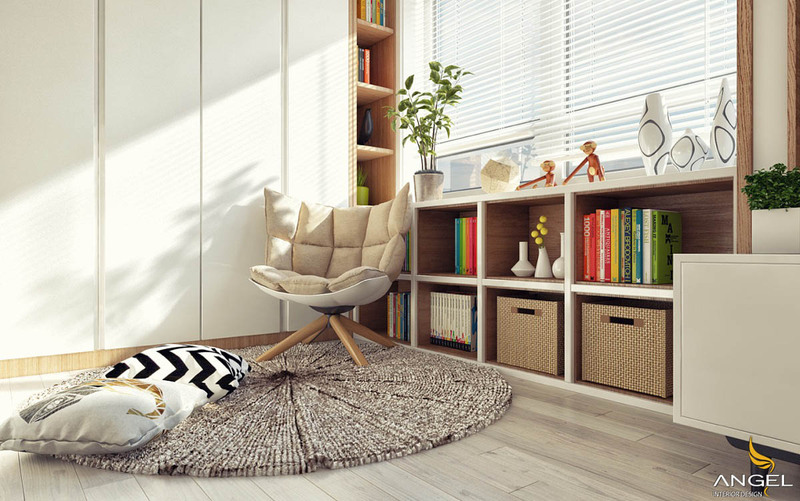 Nearby storage boxes and Kay Bojesen monkey decorations come with natural harmony. 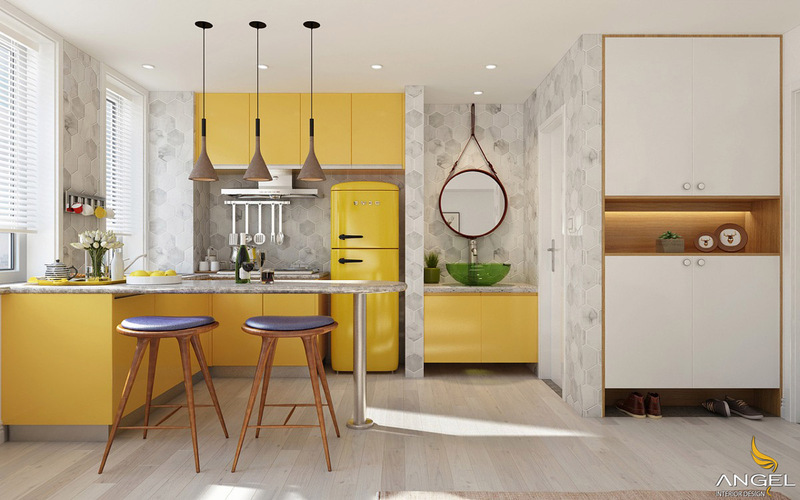 What better way to own a kitchen cabinet and a fridge with a brilliant yellow color that accentuates your kitchen space? The cool kitchen light on the breakfast bar is a copy of the Aplomb drop lamp. A modern fruit bowl on the kitchen counter holds some colors that are very suitable for lime decorations! 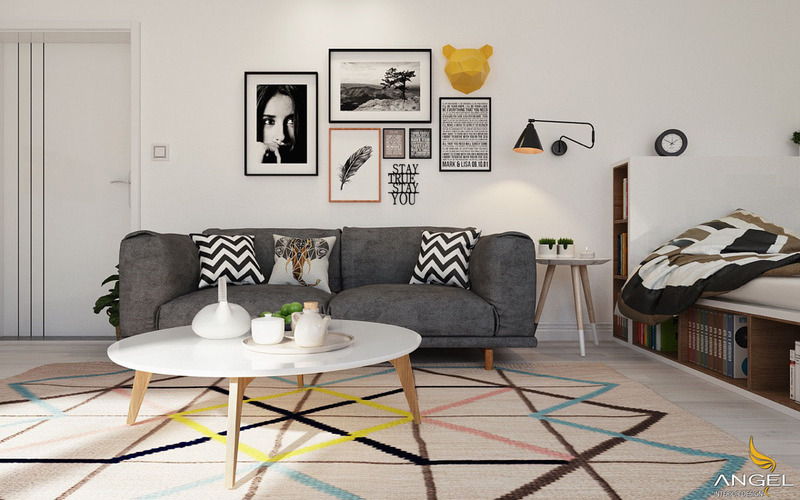 A bright yellow tray under the vase is also very suitable for the theme in this space! If you do not know how to own the yellow decor, or contact us!